Fortnite weekly challenges have kept players happy for a long time now, and now that season 7 is entering its final phase, Epic has released a fresh batch of challenges corresponding to the eighth week of the season. 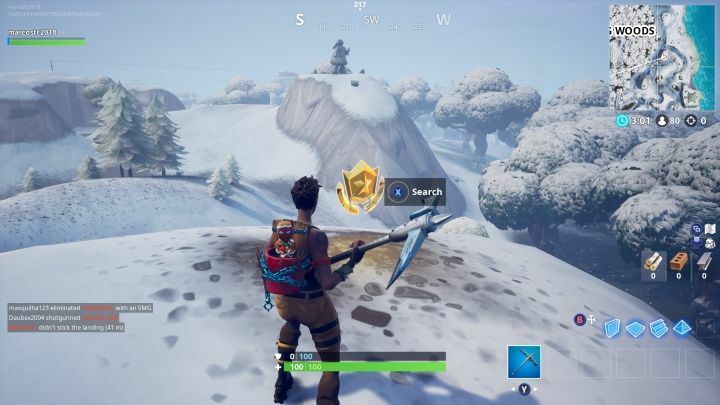 The free challenges corresponding to season 7, week 8 are the following: Place a Cozy Campfire or a Launch Pad in different matches, Build Structures, and Search between a mysterious hatch, a giant rock lady and a precarious flatbed (this week’s hard challenge). 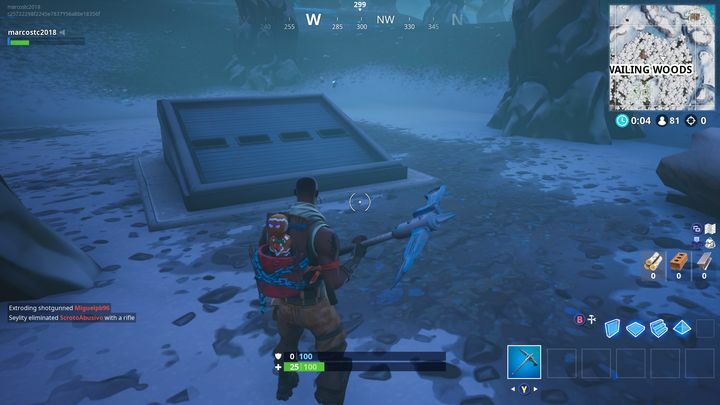 The first one is easy enough to do if you can find the items in question (for instance in the various chests scattered throughout Fortnite’s map). Then it’s just a matter of deploying a Cozy Campfire or Launch Pad in three different matches to earn your battle stars. 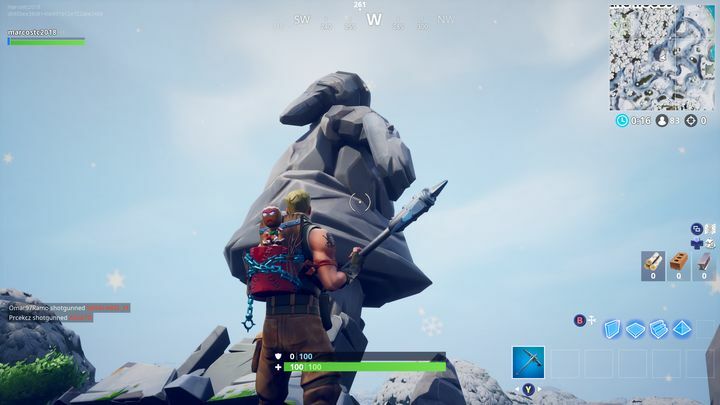 The second challenge (building structures) will also be easy-peasy for those who have been playing Fortnite for a while. If you’re very new to the game though, note that building requires that your harvest construction materials first. You do this with your pickaxe – for instance hitting trees with the pickaxe yields wood, which is necessary to build structures like ramps. To do this, just hit the build button (B on Xbox One and Circle on PS4), and then hit the corresponding controller button to build the structure you want. When you’ve put down 250 of these, you’ll have completed this challenge. The week’s final challenge is a bit harder to solve. You’ve got to search between the mysterious hatch, giant rock lady and precarious flatbed. 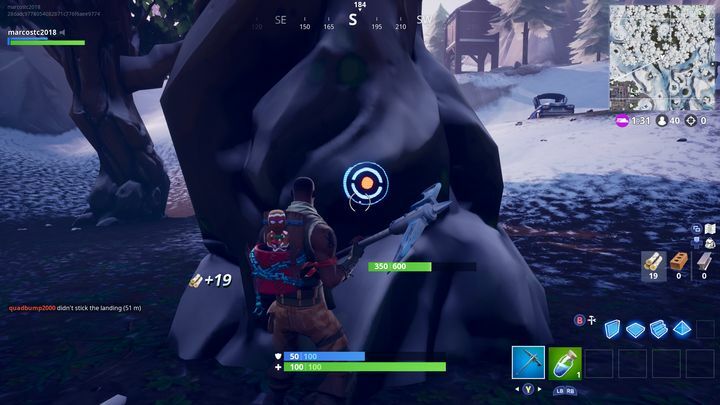 The mysterious hatch has been around for yonks and can be found in the Wailing Woods area of Fortnite’s map as seen in the image below. 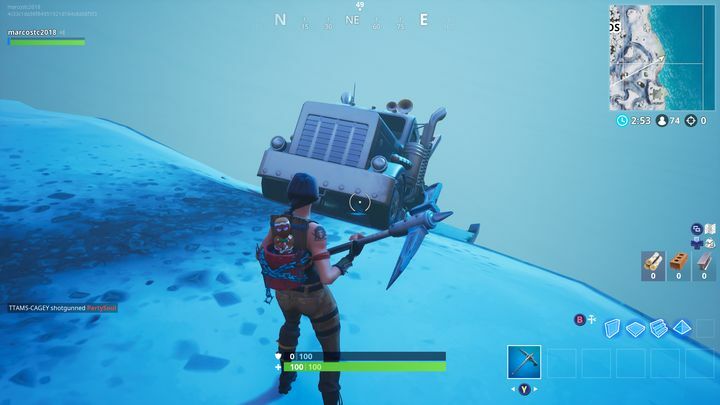 Finally, the precarious flatbed is teetering on the edge a cliff on the eastern edge of the map, also close to Wailing Woods (see image below). A little triangulation yields the location you have to travel to, which I’ve marked for you on the map below. At this location you can collect your prize and finally solve the challenge. 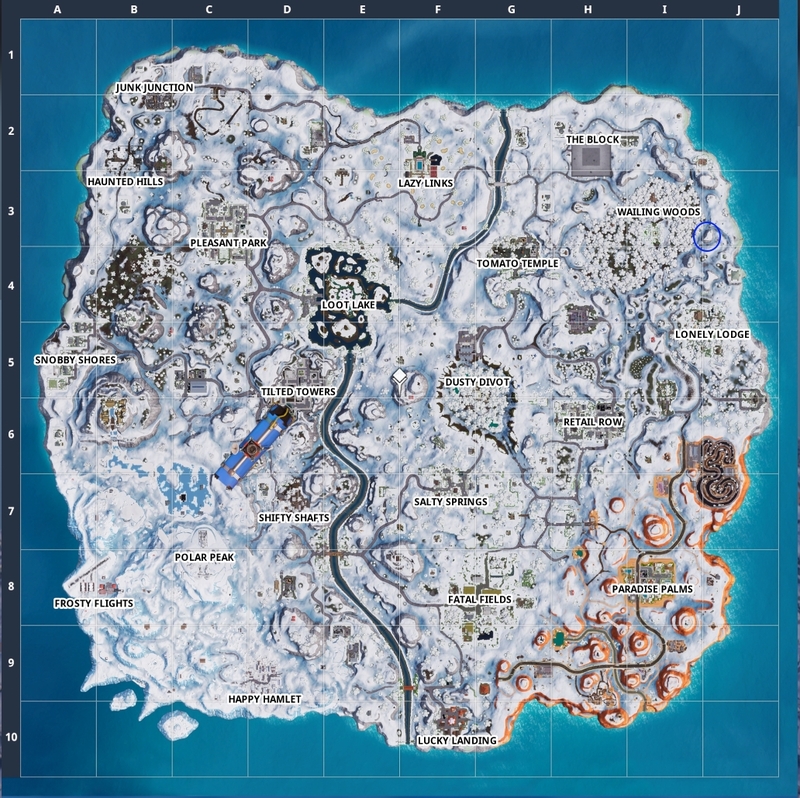 It’s a good thing that these Fortnite challenges keep coming every week then, and it surely would be a great if the people at Epic kept coming up with interesting challenges in what remains of this season too.